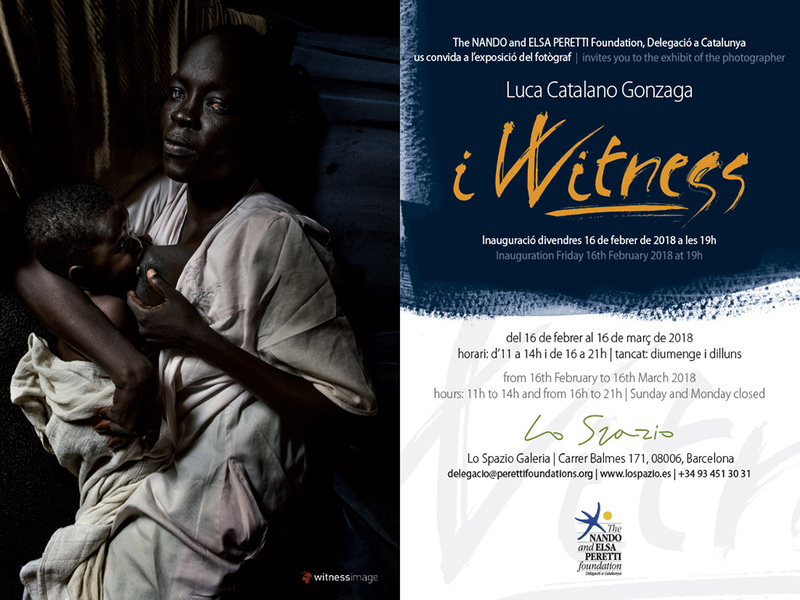 iWITNESS is a collection of 69 photographs taken by the photographer Luca Catalano Gonzaga over the eight years he has spent around the world documenting, with the support of the Nando and Elsa Peretti Foundation, the consequences of climate change on the environment and the life of the people who live there; to tell the stories of people forgotten or never represented; to denounce old and new forms of exploitation; and to unveil the human tragedy of the migratory phenomenon and the humanitarian urgency that calls us along the Mediterranean routes. Of this long journey, which led Luca Catalano Gonzaga to cross Asia and Africa and then reappear in the Mediterranean Sea, we can draw many conclusions and sum it up in many ways. But there is a constant of which the photographer’s eye is a witness and which holds together geographical and cultural realities, that are also very distant from each other: the suffering of women. Even today, everywhere in the world, it is women and girls who pay the highest price in terms of violation of fundamental human rights. The first ones to be victims among the victims, women are also the most unaware of their denied rights. iWITNESS follows the red thread of the female condition in the world. Among the protagonists and witnesses of Luca Catalano Gonzaga’s photographs there are young brick workers, often minors, in India and Nepal, forced to move stones for hours and hours under the hot sun of Asia Minor; slave women in Mauritania, truly domestic prisoners; the girls who live in the slums of Dhaka, Bangladesh, involuntary vendors of their bodies in the only Muslim country in the world where prostitution is legalized; the widows of Iraq and Afghanistan who lost their husbands or children at war; the environmental refugees of the Sahel and Bengal, who emigrated due to the damage caused by the global production system or because of the rising sea levels and desertification; women crossing the Mediterranean Sea in a small boat, carrying their children in search of a dignified life; those who suffer the violence of forced expropriation of their homes in Cambodia; desperate women in one of the largest refugee camps in the hemisphere, that of Dadaab in Kenya, a hell-like place where food and water are lacking; those suffering from AIDS or malaria in Zambia, living in conditions of strong social exclusion and stigma; the Batwa women forced to leave their natural habitat in the Rwanda forests due to tourism exploitation. And finally the women of South Sudan, the main victims of food shortages and at greater risk of abuse and violence in what is, today, one of the most serious humanitarian crises in the world. iWITNESS puts to service the power of images to denounce the profound violations of women’s fundamental freedom. It is not a handover of the baton: this exhibition calls the spectator in, so that the awareness of those violations can become a concrete action for the protection of the human rights of women and girls, which are an integral, inalienable and indivisible part of universal human rights.